Maximum air flow for your head. The custom printed Mesh Sports Cap is perfect for sports. Super low prices, bulk discounts and low minimum quantities so call us now and let’s put your order on express. 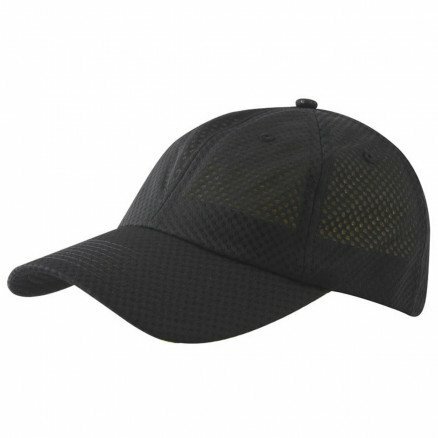 The custom printed Mesh Sports Cap is the ultimate branded cap for an active lifestyle. 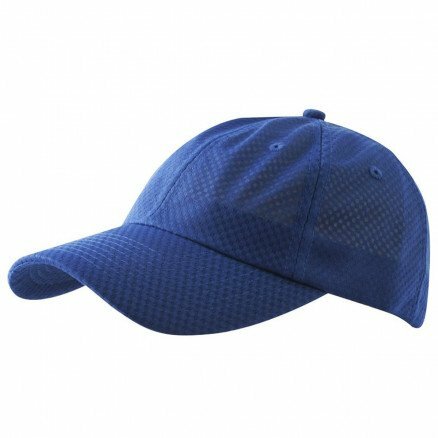 Being made of 100% polyester mesh, it is lightweight and breathable making it an ideal headwear for working out, running or playing any kind of sports. 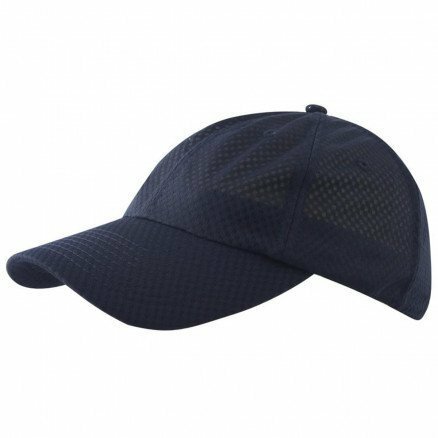 The branded Mesh Sports cap does not get in the way of enjoying your favorite kind of sports because it’s very light and comfortable. You might even forget you’re wearing a cap. Its breathable properties also ensure perspiration doesn’t get trapped on your head or run down your eyes and face. 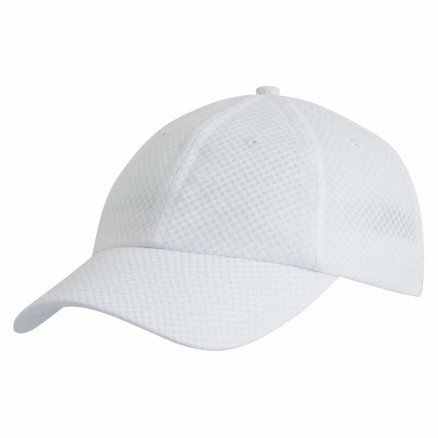 We should also mention that the cap’s mesh fabric is AZO-free and colourfast which means its color does not fade easily. The color selections available are white, royal, navy and black. In addition to being significantly breathable, the cap features a padded sweatband made of cotton to help absorb sweat and keep you fresh while you’re busy with your activities. The cap’s crown on the other hand is made of an unstructured and simple four-panel design which is fastened and adjusted by a Velcro touch wrap. It’s always great to have other options in case you’re looking for other types of mesh baseball caps. 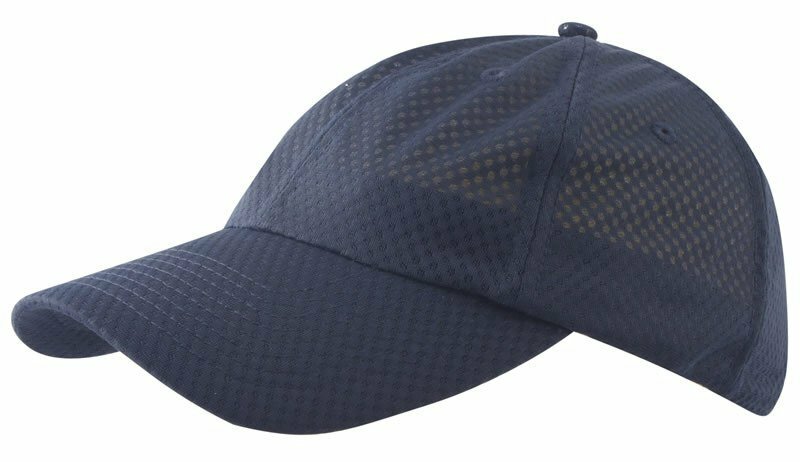 We have the personslised Mesh Waffle Cap which has white, silver and navy color selections – but with a structured crown. 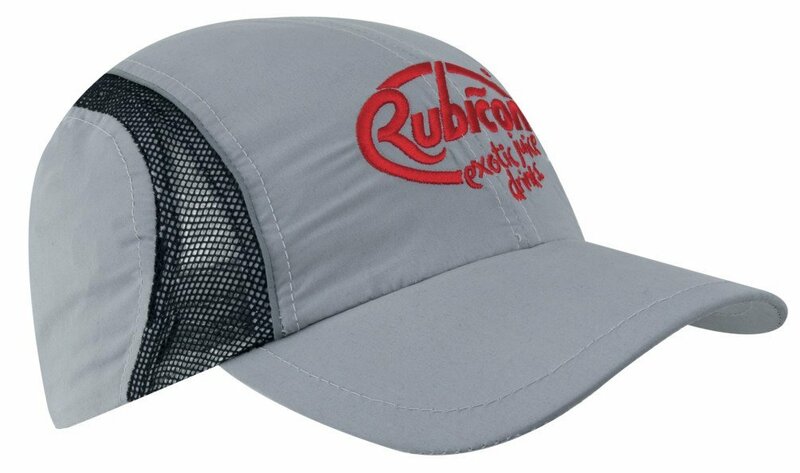 Or the promotional Brushed Cotton Mesh Back Cap which is fabricated with mesh fabric on its back and brushed cotton on the front. Of course you get to customize the Mesh Sports Cap by having your corporate logo embroidered to the centre of the front panel. Or you might try things differently by having your embroidered logo at the back or the side of the cap. Grab an approximate count of the embroidery stitches needed using our embroidery stitch count tool and then select the appropriate details of your order on our site to create an instant cap quote. So go ahead, contact us at 1300 008 300 with any questions and we’ll get them sorted.